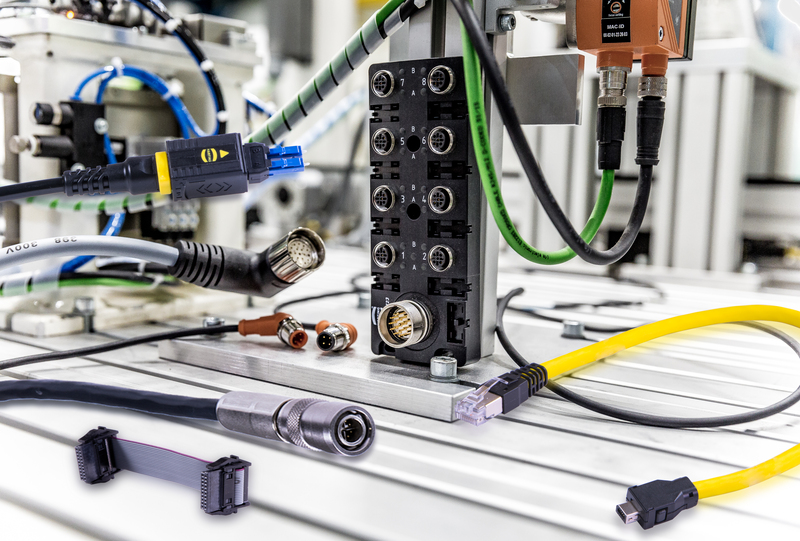 HARTING Customised Solutions (HCS) - bringing together market leading connectors with expert local and global production facilities, to develop the best solutions for you. We have a wide range of capabilities and a team of in-house CAD Engineers to help design your solution. We can carry any combination including: power; control; signal; data embedded processor I/O; Ethernet communications; and Data Pulses. And with IP rated performance, you can ensure the highest quality. The HARTING Customised Solutions facilities provide added value direct from the purpose built facilities both in Northampton as well as on a global scale. Capabilities for pull testing, AC/DC testing, and bespoke test reporting when required. The facilities meet several certifications including IRIS, ISO9001 and ISO14001. HARTING are able to service a wide range of sectors, including energy, automation and machinery, and many more. Crimping technology is available in crimp sizes from 0.14mm to 240mm. HARTING use an automated processing of wire AWG28 to AWG29 and automated strip and crimp process which ensure repeatability. There is an automated quality assurance call for batch processing and 100% quality assurance on all assembled products. In order to achieve the maximum possible transfer of data, polished Plastic Optical Fibre (POF) is used. HARTING test the quality by sending light at a specific wavelength down the fibre and measure the result. 200x inspection of all processed end faces. Our team are globally recognised IPC 610/620 Class 3 workmanship standard, all trained by our on-site IPC J-STD specialists to ensure staff have the knowledge to deliver a consistent and repeatable quality product.